Here you can give us feedback or questions, go ahead! There was an error saving your feedback. Please try again later or contact us by e-mail. Please enter your e-mail address so that we can inform you if new offers or archive items become available. Your e-mail was saved successfully. There was an error saving your e-mail address. Please try again later or contact us by e-mail. This web site is all about opportunities: here industry can find the technologies and know-how that the Faculty of Computer Science of the Free University of Bozen-Bolzano can offer; in research projects, seminars, and other forms of collaboration. Find out more. 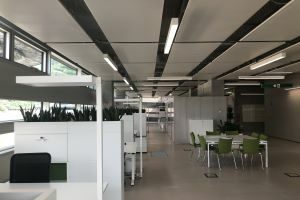 There are many opportunities to collaborate with the Faculty of Computer Science of the Free University of Bozen-Bolzano. To find out more, please choose a category, a type of offer, or freely search for a keyword. We have also concluded or ongoing research that you might want to consult in our archive. You might be interested to see how already identified problems have been solved or to try out a solution we developed in another context. You can also send us your proposal for cooperation by sending us an e-mail or using the button below. Welcome to the website of the Smart Data Factory, the laboratory for technology transfer promoted by the Faculty of Computer Science of the Free University of Bozen-Bolzano! Here we present our research profile, activities promoted by the lab, possibilities to involve students, and much more. Please have a look, and if you have a question, do not hesitate to contact us! The mission of the Smart Data Factory is to promote the technology transfer from academia to industry by implementing and adapting research results of the Faculty of Computer Science of the Free University of Bozen-Bolzano. This occurs through the transfer of advanced skills present in the Faculty of Computer Science, for the solution of complex problems in the areas of intelligent data management and in the co-design and co-development of IT applications that focus on the intelligent use of data. In the long term, we expect that the Smart Data Factory increases the innovation potential and competitiveness of the region in the IC&T archive as well as the emerging "data science" through the creation of communities with diversified and innovative experiences at national and international level. Co-design and co-develop IT solutions centered on the intelligent use of data, whose innovation and complexity cannot be realized autonomously by the companies present in the territory. Mediate between companies (present in the technology park and outside) and the Faculty of Computer Science. This section aims to give an overview about the research that different groups within the Faculty of Computer Science are pursuing and can offer to companies. Instead of looking at the offers above, it might be more interesting for you to have a look at our areas of expertise. Have a look at the various research groups, their goals, key technologies, and related projects. This section describes what "technology transfer" means for the Faculty of Computer Science of the Free University of Bozen-Bolzano and how we organize technology transfer activities. In general, technology transfer is the process of transferring technology from where it is developed to where it is needed. It involves many activities, like helping in filing patents, supporting the creation of spin-off companies, exploiting Intellectual Property through licensing, etc. Contact: The faculty contacts the company or vice versa. Defining the problem to solve: The faculty presents the portfolio of transferable technologies to the company and/or the company presents projects for which it needs support. The outcome of this step is a problem description. Defining the team: Based on the problem description, we will look for researchers in the faculty that are interested to develop a solution to the presented problem. If no researcher is interested/able to collaborate, the project is not carried out. The outcome of this step (if the project is carried out) is the project team. Planning: Once a project team is established, the company and faculty members define the technology transfer activities in detail. We foresee the following types of activities: feasibility study, joint research, joint development, or teaching. The outcome of this step is a project plan. Optional: planning non-research activities: The faculty helps the company to find partner/s that carry out non-research activities (e.g., programming). Optional: apply for funding: The company and/or the faculty ask/s for funding. The faculty helps the company to write a funding proposal. Preparation: The collaboration contract is prepared by the university and signed by the company and university. This contract states the duration of the collaboration, the tasks, involved researchers, intellectual property rights, publication rights, and the compensation. The outcome of this step is the collaboration contract. Execution: The technology transfer project is carried out by all partners. A typical approach for such a collaboration consists of the study of the state of the art by the faculty, the joint development of a candidate solution by the faculty and industry, and the validation in theory and in practice until a solution is found. During the execution, the university issues one/partial invoice/s to the company, the company pays the invoice/s, and the money is used to cover the costs of the project. Closure: The project is closed. A feasibility study is an assessment of the practicality of a proposed project or system. A feasibility study aims to objectively and rationally uncover the strengths and weaknesses of an idea, opportunities and threats present in the natural environment, the resources required to carry through, and ultimately the prospects for success. If feasibility has to be demonstrated, a proof-of-concept, i.e., a prototype of the idea is often implemented. Prototyping is the activity of creating prototypes of software applications, i.e., incomplete versions of the software program being developed. The goals of prototyping are to better understand the practicality of a proposed project or system, to obtain feedback from users, and to understand how the final system has to be constructed (see "System design"). System design is the process of defining the architecture, modules, interfaces, and data for a system to satisfy specified requirements. Training means to transfer knowledge through teaching, examples, simulation, and exercises. The thesis is the final work of a bachelor or master in which he or she solves a problem. A thesis is usually written in form of a recipie, explaining the problem that was solved, the means that were chosen, and the results that were obtained. A thesis can be an interesting example of how a problem was tackled and can help to develop a more elaborate solution based on its first experience with a given subject. A research project is a collaborative endeavor, involving research and/or design, that is carefully planned, usually by a project team, to achieve a particular aim. The outcome of a research project is the answer to a research question, e.g., "How can we construct an algorithm that predicts the temperature on a specific data and place?" or "How can we analyze a give set of data to make certain conclusions about it?". If you are passionate about cutting edge technologies, and you would like to be part of a growing team with plenty of opportunity to both learn from others and contribute your own smarts, we are currently accepting expressions of interest for data scientists. You'll be working on the study of innovative techniques and on software development supporting the integration and analysis of heterogeneous data in complex domains. Your educational background should be a Master’s degree in Computer Science, Computer Engineering, Data Science, or related fields. Alternatively, Bachelor’s degree in the above fields, with professional experience as a data architect, data scientist, software engineer, or a similar role. You should have strong programming skills, and knowledge in data acquisition, data processing and analysis. Moreover, solid communication, listening, and writing skills in english. A Ph.D in Computer Science, Artificial Intelligence, or related fields. Conversant in engines for large-scale data processing (e.g., Spark) and components for data management, exploration and analysis (e.g., MLib, GraphX, R). Experience with deep learning frameworks such as TensorFlow, Keras, Deeplearning4j, etc. Is this you? Please, contact us! If you are a student about to finish your Bachelor degree in Computer Science or related field, you can express your interest in doing an internship, or a thesis, or both at our facilities. During the internship/thesis you will participate in one of our running projects, you will acquire problem solving skills and get experience by solving practical problems. Sounds interesting? Please, contact us!